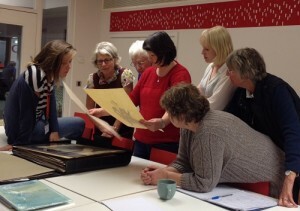 Our prospective exhibition volunteers peruse items from the archive. Some of you may remember an exhibition that was held in 2012 at Pallant House Gallery to coincide with the Theatre’s 50th anniversary. Many of those who attended this exhibition commented on the creative display of ephemera from the Theatre’s history, including old programmes and set designs. 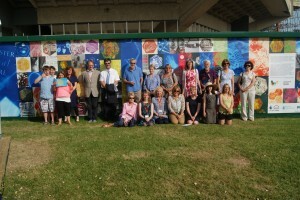 In 2015, a new exhibition all about the history of Chichester Festival Theatre will tour several venues across West Sussex, though this time, the entire exhibition will be researched, curated and designed by Pass It On volunteers. 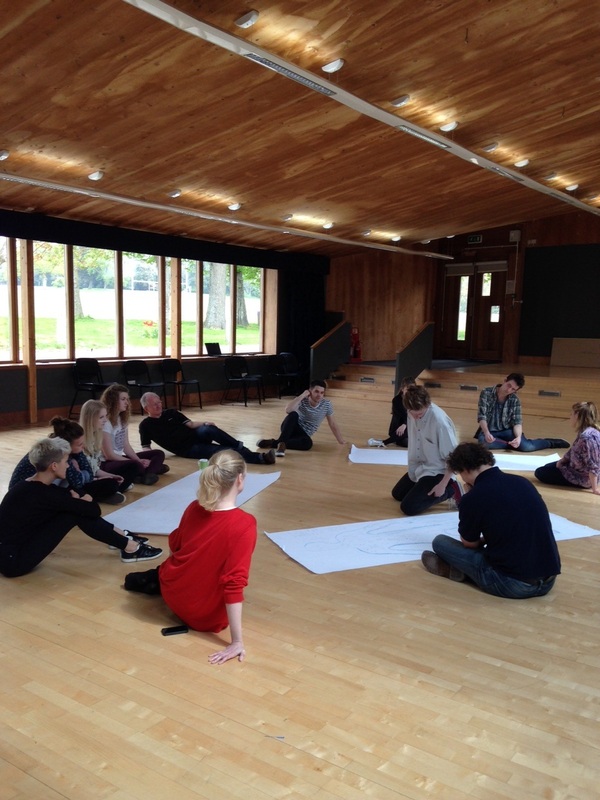 Last week we held our first session to introduce our prospective volunteers to the challenge of creating a modular and interactive exhibition. The exhibition will provide new insight into the inner workings of Chichester Festival Theatre, using items from our archive and memorabilia collection. We’ll also have access to archive footage from the 1960s and audio clips taken from the interviews we’ve been collecting as part of our oral history strand. This allows for interactive possibilities and we’re even planning on running special events and activities during the exhibition’s stay at each venue. This ethos was a huge part of the original Festival Theatre build in 1962, a project that relied on public fundraising by much of the local community to make Leslie Evershed-Martin’s hopes for a regional theatre come true. It’s a philosophy that Pass It On aims to live by too. 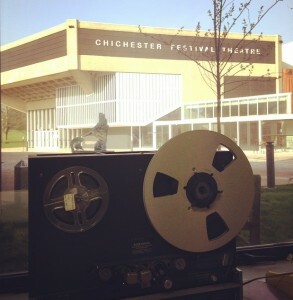 We are working in partnership with West Sussex Record Office to sort and preserve a paper archive for Chichester Festival Theatre; with an expert Oral Historian to capture living memories of the Theatre; with local schools to develop a series of teaching resources and with our own Youth Theatre to develop short plays and tours that draw on the Theatre’s heritage in a variety of different ways. This even filters through to our website. Many of the pages you can explore and browse through have been completed by volunteers. 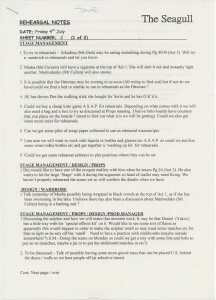 They have been briefed, or have come up with the idea themselves to research particular areas in the Theatre’s history. This way, the website is able to evolve in a very organic manner, with new pages being added by a whole host of volunteers. 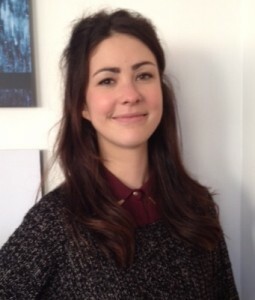 Holly Stewart, a history student at the University of Chichester, has produced an extensive overview of the 50+ years history of the Theatre, working decade by decade. 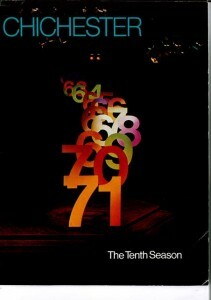 Her work can be seen on the 1960s, 1970s, 1980s, 1990s, and 2000 to the present pages. 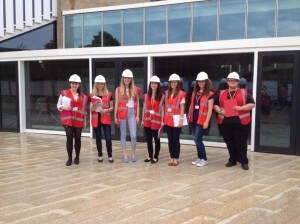 Amelia Mlynowska, alumni of the Youth Theatre and one of our Young Playwrights, has created several pages that detail the development of a temporary performance space at Chichester Festival Theatre into the popular Minerva Theatre, the sister space of the Festival Theatre. Her work includes a section on studio spaces, the Tent’s summer seasons , a permanent studio theatre, the studio theatre idea, studio theatre funding, and the grand opening. I am part of a group of volunteers involved in oral history interviewing for the Pass It On project. 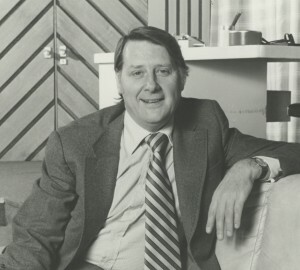 My most recent interviewee was John Gale OBE, who was involved with Chichester Festival Theatre from 1983 and was Artistic Director from 1985 to 1989. 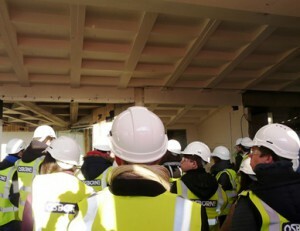 His enthusiasm and affection for the Theatre was typical of our interviewees. They all continue to care for the Theatre and their generous sharing of knowledge and experiences is giving the Pass It On Project an immense wealth of fascinating information. 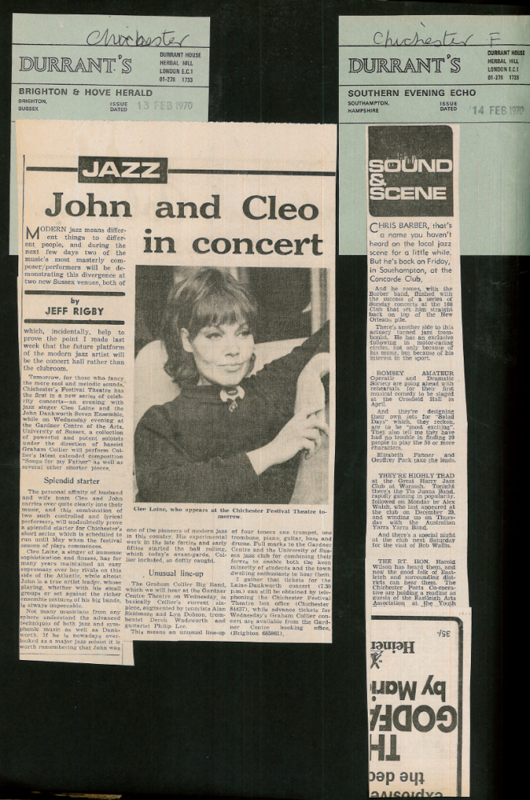 We met at his house and having set up the recording equipment and tested the sound levels the process began, as usual, with recording the date, place and our names and then asking the interviewee to spell their name, and give the place and date of their birth. 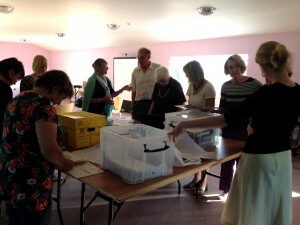 Our NADFAS ladies working hard! 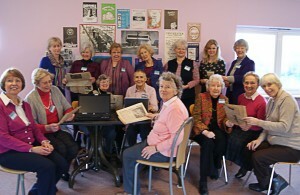 For the last three months, our NADFAS volunteers have been working their way through piles and piles of press cuttings, listing them onto a database in detail so we can gain a clear overview of what press cuttings our archive holds – what productions are reviewed, what news is covered, who was visiting, when and why. 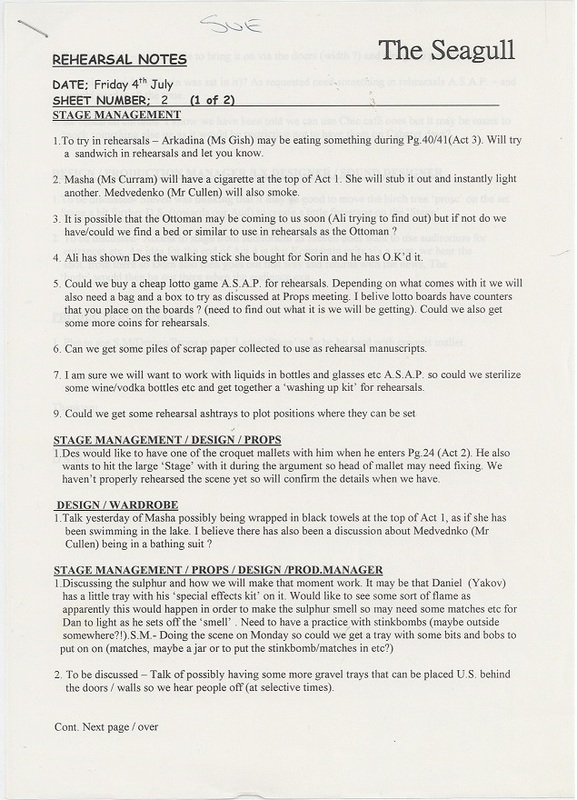 This is particularly important for future researchers interested in the Theatre’s history, who will be able to search the database by year, by production and using key names. 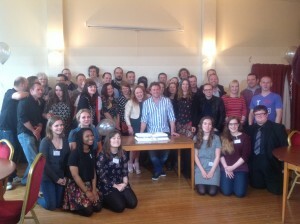 Rachael: Many interesting memories and stories were collected on Saturday 5 April when myself and a team of Memory Collection volunteers from the Youth Theatre attended a reunion for Youth Theatre alumni. 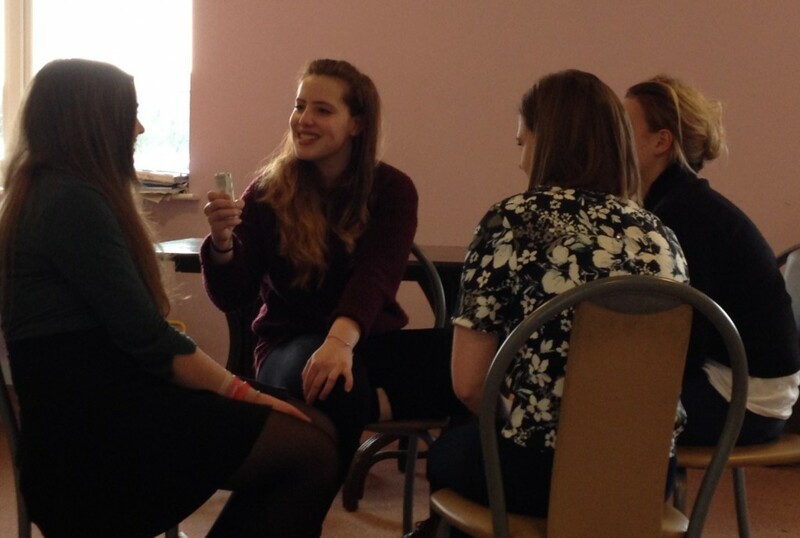 Armed with Dictaphones and clipboards, our aim was to try and capture some of the memories of CFYT. Although a little timid at first, it didn’t take us long to begin approaching people. We went into the hallways to conduct the interviews as the main hall was full of the sounds of old friends reuniting, chatting about their lives and reminiscing while sharing a drink (or two). 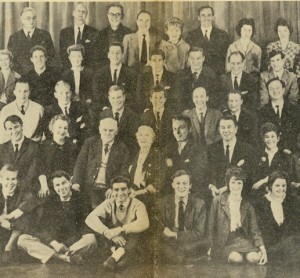 The interviews were around ten minutes long, with an objective of collecting as much detail as possible and hearing all of the stories they had from being in the Youth Theatre. Although we started with the same question for each interview, “So, could you tell me about your time in the Youth Theatre?” the stories and memories that we collected really varied from person to person, as everyone we asked remembered different things from their time. I got a lot out of this day personally, as I learned how much the Youth Theatre and CFT itself has changed over time. 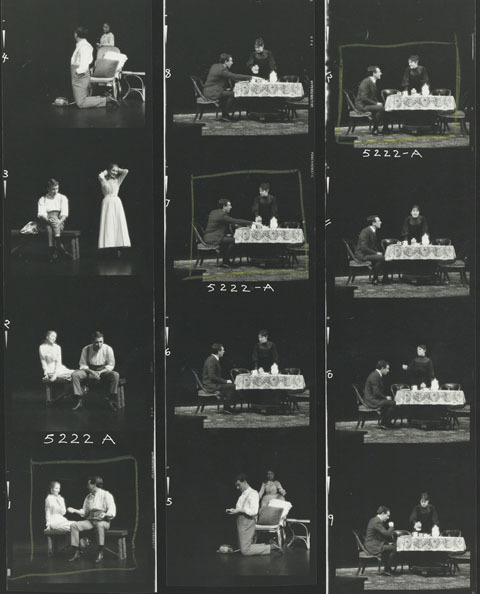 Sue and I started our scanning experience for Chichester Festival Theatre in 2013 and we have to say, felt very privileged to be able to scan some of Leslie Evershed-Martin’s scrapbooks at what was his Chichester home. We did the scanning in the dining room; above the mantelpiece was a very impressive portrait of Sir Laurence Olivier (known as Larry to Leslie Evershed-Martin and friends). We felt he was keeping a watchful eye on what we were doing with the scrapbooks. 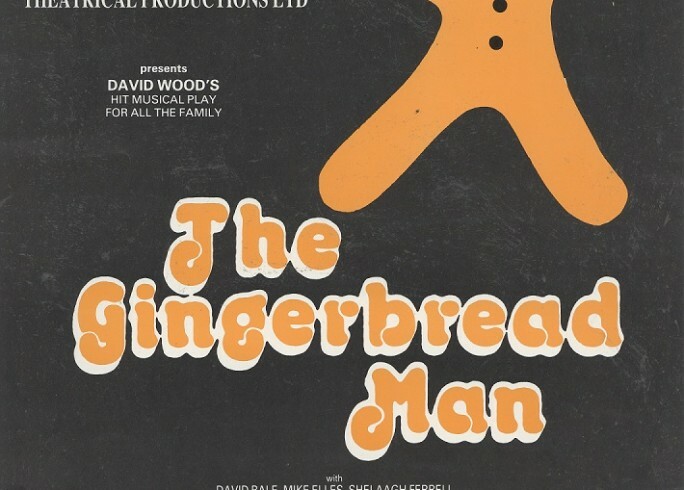 The books were very enlightening and included a very valued account of fundraising, first productions, and the casts, programmes, after Theatre party invitations and press cuttings from the 1960s – 1990s. Sue and I have now been dispatched to the Records Office for our current scanning adventures, which so far have been very interesting and varied. 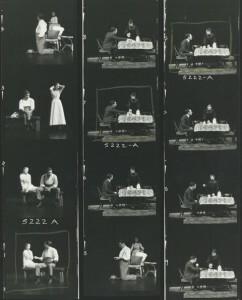 One of our more recent scanning sessions included an annotated script, production photos and press cuttings of The Seagull produced in 1973, which we believe maybe used for inspiration by the Theatre’s Young Playwrights scheme. All in all, I can’t wait for what’s next to come for us. 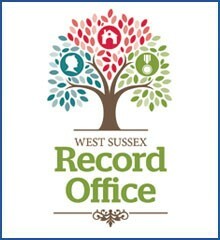 Find out more about the West Sussex Record Office by clicking on the picture. Clarissa: I’ve been working on sorting through and listing the Christmas productions that were put on at Chichester Festival Theatre each year. This goes back to the early 1970s. I have found it interesting to see what shows were staged over the years and sorting through production files has opened my eyes to how much work goes into putting on a show!